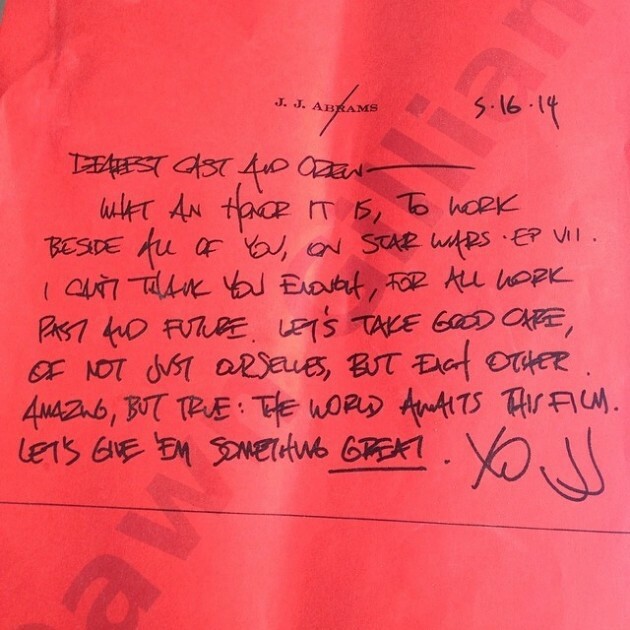 J.J. Abrams Cast & Crew Letter from the 1st Day of Filming. The watermark across the letter is name of the script supervisor, Dawn Gilliam. The red paper is pretty standard practice for Bad Robot memos and scripts going back to the days of LOST. That was nice of Abrams.